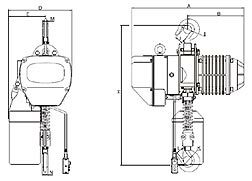 Inverse phase sequence protecting device: It is a special electrical installation which control the circuit not to work in case of wiring error in the power supply. 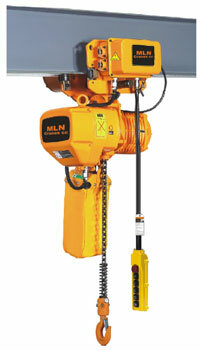 24V / 36V device: It is used to prohibit the emergencies from occurring in case of the leakage in the switch. 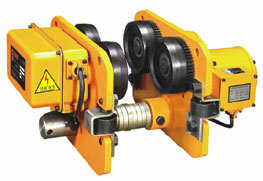 Side magnetic brake device: This device shall realize the instant brake in case of the power dump. 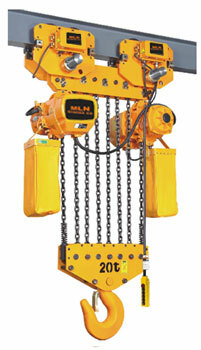 Chain: The chain shall adopt the imported FEC80 ultra heat-treatable alloy steel chain. 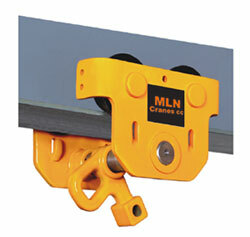 It is typical of a unique optimal structure in shortening the distance between the machine body and the beam tracks, applicable to operations inside fairly low buildings, especially suitable for use in temporarily erected plant buildings or on the sites where expansion of effective hoisting spaces inside the buildings is required. 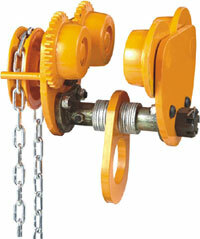 Notes: the standard length of a hand pulley chain is 3 meters. 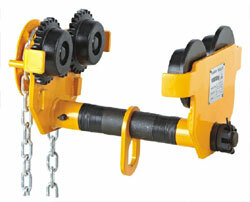 semi manufactured goods and moulds. 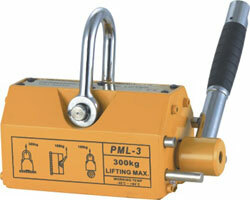 Due to its magnetic the surface of lifted goods. 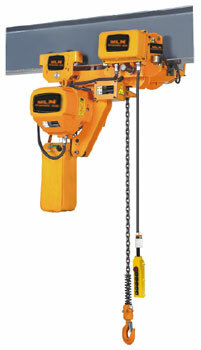 The magnetic lifter's highest pulling force is 3.5 times greater than the rated lifting capability. 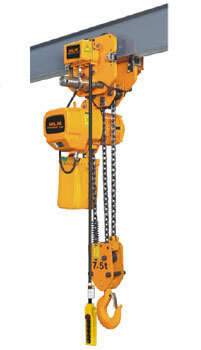 If the component surface roughness (Ra) is less than 6.3 um, the magnetic lifter surface gap will not exist, the lifter gap should be estimated. 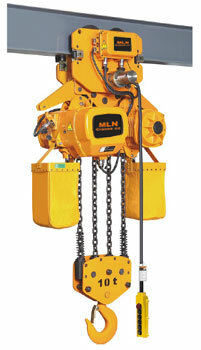 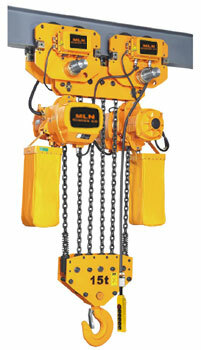 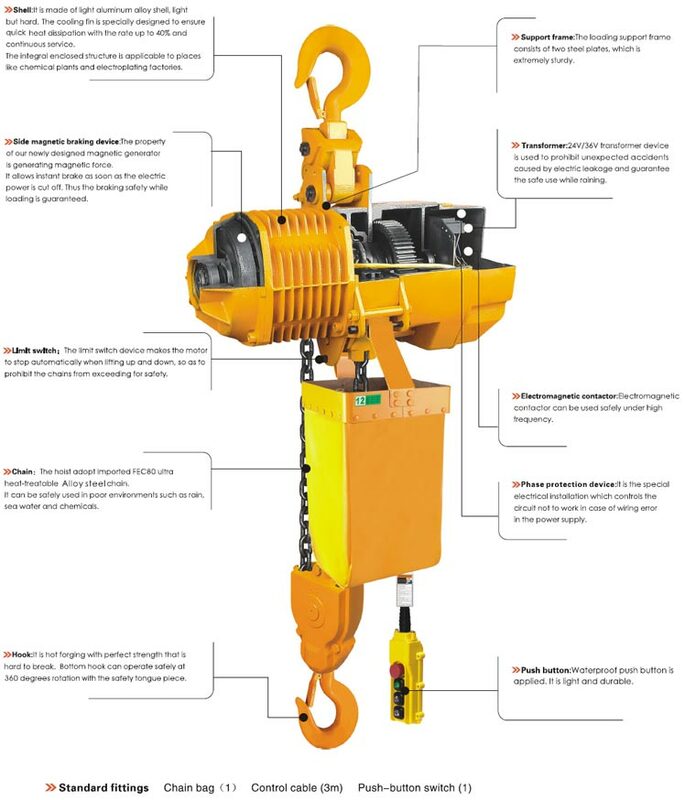 Hoist with the lift in extra lengths is available by extra cost upon request.